Radio Heartbeats Malayalam Live Online . Listen over 50 Malayalam Radio Stations online . 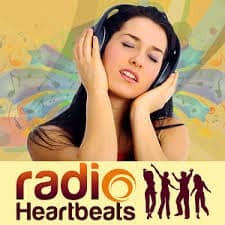 Radio Heartbeats is an Online Radio 24/7 streams all North & South Indian music . Special dedication for Hindi, Malayalam, Tamil, Christian and Hindu devotional songs. Heartbeats listeners are all around the world, major listeners are from India, USA, Middle East, UK, Europe, Germany, Australia and Canada.